Cruising is ranked as one of the best overall vacation options. How else can you can travel to multiple countries or cities and unpack just once? A vacation bargain, it’s all-inclusive, offering a variety of food, lodging, and entertainment. If you have yet to cruise, join the over 24 million passengers planning to set sail this year. While the Caribbean and Mediterranean are the two most popular destinations, unique travel experiences await you all over the world. If ports aren’t your thing and you just wish to relax, there are a myriad of larger-than-life ships that are the destination themselves. Loyalty - Sticking with the same cruise line is comfortable; you are familiar with the line, ships, and itineraries. Frequent cruisers get free and upgraded perks. Port of embarkation - The cruise departs from a particular location that makes it more accessible or less expensive for travelers. 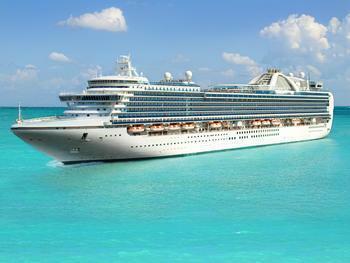 Itinerary – The cruise travels to a desired destination and stops in ports of particular interest. Dates – Sometimes travelers have specific dates/weeks they either want or are limited to travel. For every cruise line there are passengers who love the line and/or the ship(s) and there are detractors who have either had a bad experience or are hard to please. Read reviews of both the cruise line and the ship. Do an online search for cruise reviews or search with the cruise line name + “cruise reviews.” While reviews are helpful, be aware there will always be some reviews where passengers are picky and difficult to satisfy. Besides published reviews, you should talk to experienced cruise-goers. I polled some of my fellow cruisers about each cruise line mentioned here and their collected comments appear after each section. Decide what it is you want to do and make a plan. If you want to put your feet up and read, do just that and don’t feel guilty that you’re missing a lecture or dance lessons. Realize that if your cruise goes to desirable destinations you will spend your days in port off the ship. Don’t be disappointed if your cruise experience is busy rather than relaxing. Pool seats are at a premium on all cruise lines. If you want to sit by the pool, get there early. There are many cruise lines but those listed here account for the vast majority of cruises each year. Each has its own personality. This listing should help you find the one that's best for you. Carnival Cruise Lines, calling its fleet of 24 ships the "Fun Ships,” offers three- to 16-day cruises to the Bahamas, the Caribbean, Europe, the Mexican Riviera, Alaska, Hawaii, Canada, New England, Bermuda, Australia, New Zealand, and the Pacific Islands. It attracts adults/couples, families, and multi-generational families. Offers The Carnival Great Vacation Guarantee. If you’re not happy with any three- to 14-day Carnival vacation you take to The Bahamas, the Caribbean, the Mexican Riviera, Bermuda, Canada/New England or Alaska, let Carnival know within 24 hours of your departure. They’ll refund 110% of your fare and their Guest Services will get you back to your home, free of charge. Provides kids and teens programs. Has two new Cruise ships in the works: Carnival Vista will debut in 2016, and a second ship will be unveiled in 2018. Is affordable, which is especially attractive when traveling with a large group. Offers “Chef’s Table,” a special culinary experience. Book early as reservations fill quickly. Provides foam egg crates for your bed. You can get them by asking your cabin attendant. Provides a “Fun Hub” app, a messaging system through smartphones so couples and families can stay in touch with one another for just $5 each for the full week. Also gives the events of the day so you don’t miss anything. When available, “Faster to the Fun” for $50 allows you to bypass the hours of lining up with thousands of others waiting to get onboard. Check out the online store; really cute gifts for adults, children, and teens, cabin decorations for a variety of celebrations, and “Seuss at Sea” with all kinds of Dr. Seuss products. “While nowhere near as elegant as some of the other cruise lines, we had excellent food on Carnival, amazing service, and the kids all had a great, great time. The babysitting was wonderful and easy to use. The rooms were nice. Clean. Seriously, nothing to complain about. Easy on and off at each port of call. Great ports of call that necessitated no additional excursions, which was nice for those on a budget. Celebrity Cruises, with its beautiful contemporary spaces, describes its 10-ship fleet as “modern luxury.” It offers 2-3 to 20-night cruises to all continents. It attracts couples/adults, families, and multi-generational families. On the newest ships, 90% of the staterooms have outside views and 85% of the staterooms have verandas. Its ships offer attractive and comfortable cabins. Solstice class ships offer a "Lawn Club" experience; a lawn of green grass on the uppermost level where passengers can play lawn games, practice their putts, or just relax. Interesting specialty restaurants, including the Lawn Club Grill, can be found on the Celebrity Reflection and Celebrity Silhouette, where diners can make flat bread and cook their own dinner side-by-side with Celebrity chefs. Provides kids and teens programs. Separate fees may apply. Save money by purchasing a specialty restaurant package for your cruise. Two new cruise ships are in the works as part of a new class of ships (EDGE), with delivery fall 2018 and early 2020. Avoid the crowds at the buffet in the Ocean View Café at embarkation; lunch is served in the Bistro on Five for $5.00 and check out the AquaSpa Café as well. Café Bacio charges for their specialty coffees and teas, but all the treats in the cases are at no charge. There is a self-serve full afternoon tea each day in the Ocean View Café; check your daily bulletin for times. “Celebrity is our favorite, especially after cruising on other lines. The ships are gorgeous with open spaces, good flow, and never seem crowded. Cabins are comfortably designed with plenty of storage space. Attentive staff and interesting itineraries. Cunard Line and its three-ship fleet are celebrating its 175th anniversary this year. It prides itself on delivering White Star Service, “Standards of service that go above and beyond, exceeding the expectations of our guests.” It offers two-night to multi-month world tour experiences to all continents as well as transatlantic crossings from New York City to Southampton and back. It attracts couples/adults and families who seek a more formal experience. Offers comfortable accommodations with attentive service. Excellent meal service in the dining room for breakfast, lunch, and dinner. Includes diverse shows, plenty of space around the ship, and more activities than you can possibly do. Has an extensive library, bookstore, and the Cunard Book Club. Traditional afternoon tea can be had each day in the Queens Room on all ships. It can be busy, so line up at least 15-20 minutes early for a good spot. Provides kennels for your dog and cat on the Queen Mary 2 Transatlantic Crossings between New York and Southampton in either direction. Cunard adheres to its formal evening policy; if you are not interested in dressing in formal attire on those evenings you will be restricted in where you can eat and spend the evening. If there is a Black and White Ball, they mean for you to wear black and white so bring appropriate attire. Actors from the Royal Academy of Dramatic Arts (RADA) perform and offer classes. Disney Cruise Line describes its four-ship fleet experience as “Stunning vessels that pay homage to the grand era of the luxury ocean liner.” With Port Canaveral, Florida as the homeport, it offers three- to 12-night cruises to the Caribbean, the Bahamas, Hawaii, Alaska, and Europe, among others. It attracts families, multi-generational families, and adults/couples who enjoy the Disney experience. Has a wide-ranging variety of shipboard activities, including: cartooning classes, karaoke competitions, first run feature films, and a broad array of Disney character experiences. Disney has a private island, Castaway Cay in the Bahamas. Offers unique and special Disney-inspired ship interiors, attentive staff, excellent meal service, and memorable theme nights like Pirate Night with fireworks. Passengers rotate and eat in a different dining room each evening and your assigned waiter rotates with you. Provides nighttime dining experiences and separate areas of the ship just for adults. Check your “Personal Navigator” (the ship’s daily activity bulletin) carefully once you’ve embarked for limited-access activities that require a sign up. Use the “Disney Cruise Line” app to stay on top of activities and offerings. Many cruisers do not mind waiting in line for hours to get their photo taken with characters or autograph books signed. For those who do not want to spend valuable vacation time in lines, bring a blank 5x7 or 8x10 mat for a photo frame and leave it at the front desk for signatures. Pick it up on the last day before you disembark the ship for a stress-free memento. “We enjoyed our Disney cruise a lot. We were amazed at how Disney crazy most people (parents and kids) were and we really felt like novices even though I had done some online research. Holland America Line invites its passengers on its 15-ship fleet to “Savor the Journey.” It offers one-day to extended Grand Voyages to the Caribbean, Alaska, Europe, Mexico, South America, the Panama Canal, Australia, New Zealand, Asia, the Amazon, and Antarctica. It attracts couples/adults and families. As You Wish Dining allows passengers to choose a restaurant and time, either for a specific time for the duration of the cruise or as you like it, any day. “The Culinary Arts Center, presented by Food & Wine® magazine” offers a range of culinary programs featuring a variety of hands-on, participatory, and lecture-style experiences, both free and fee-based. Longer cruises tend to attract an older crowd; shorter cruises, holidays, and summers attract more of a mix of passengers. A new cruise ship, the ms Koningsdam, will debut in April, 2016. If you sign up for mailings, you can snag some great prices and promotions. The specialty restaurant The Pinnacle Grill serves lunch. On the longer voyages there is a reasonable laundry and pressing service available. Prices can change, but in 2015 it was $20 for a bag of laundry (a ship-provided laundry bag that can stuff in as much as it will hold) and an unlimited pressing service at $96 for a 32-day cruise to press any items in your clean laundry. “I enjoy sailing Holland America. The cabins are very comfortable and they include a couch or love seat as well as a bath tub/shower combination. The food is better than other cruise lines I have sailed. They have free computer classes and I always take them to keep me up to date on the latest versions. We particularly enjoy the live music in the Explorers Lounge, before and after dinner. One thing we especially like is they always have a Catholic Priest onboard every sailing. They also have an excellent library with lots of volumes, magazines, and comfortable chairs. Norwegian Cruise Line describes its 14-ship fleet experience as “Freestyle Cruising,” allowing passengers to create their “ideal cruise vacation.” Offers three- to 42-night cruises to Alaska, Asia, Australia, New Zealand, the Bahamas, Florida, the Caribbean, Canada, New England, Europe, Hawaii, the Mexican Riviera, the Pacific Coast, the Panama Canal, and South America. It attracts adults/couples, families, and multi-generational families. Passengers have no fixed dining times or pre-assigned seating, giving them a choice on how and where they want to eat. Norwegian has two private islands; Great Stirrup Cay in the Bahamas and, opening November 2016, Harvest Caye in Belize. Breakaway Class ships offer Broadway shows, such as Rock of Ages and Legally Blonde. There is a service charge per guest; other cruise lines call this onboard gratuity. There is a convenience charge of $7.95 for room service. The continental breakfast menu that is a hang card in the cabin is available at no charge. Offers a special section in the buffet for children with smaller chairs and a buffet line especially for children. Nine ships are scheduled for renovation by 2018. The freestyle option includes dress; while you can dress cruise casual or dress up, the ship offers a Night Out dress up during the cruise. Avoid the crowds on embarkation day by eating in the main dining room or O’Sheehan’s Neighborhood Bar and Grill. For extra storage, the couch in many of the cabins has drawers built underneath. “I’m a frequent cruiser and love sailing Norwegian because with free-style cruising, I can do a lot or as little as I want. As big as the ships are, they never feel crowded and there are plenty of quiet places to relax. I enjoy the variety of restaurants. The big ships have 14 or 15 dining choices! There’s a diverse selection of entertainment with lots of traditional venues but also night spots, pubs with music, comedy shows, and more." The Princess Cruise ship, Pacific Princess, played a starring role in the 1970’s comedy “The Love Boat." Has a “Movies under the Stars” program with complimentary blankets and popcorn. Will unveil a new ship, a "Royal Princess" class vessel, with delivery expected in the Spring of 2017. Offers Military Cruise Benefits Program, with up to $250 free onboard spending money (depending on the length of your cruise) for veterans as well as active, retired, or disabled military personnel. If taking a honeymoon cruise, check out The Princess Cruises Honeymoon Wishes Registry; friends and family members can contribute to your cruise experience and it will be added to your onboard credit. If you’ll miss your book club or you just love to read, check out the Princess Cruises Book Club with a reading discussion list for the oncoming months. Princess can accommodate food allergies if you inquire. For example, you can get gluten-free bread at the buffet if you ask for it and you can order gluten-free pizza 24 hours in advance at the pizza stand. Some ships have an International Café that is open 24/7, offering snacks and small salads. “We actually liked everything about our Princess cruise. The maître d willingly complied to our table requests. The food was very good in the regular dining room and the upgrade restaurants were excellent, especially the seafood/Italian one. Offers three- to 24-day cruises to Alaska, Asia, Australia, New Zealand, the Bahamas, Bermuda, Canada/New England, the Caribbean, Europe, Hawaii, Mexico, the Pacific Northwest, the Panama Canal, and South America. It attracts adults/couples. families, and multi-generational families. Offers ice skating shows, water shows, Broadway musicals, ice skating, rock climbing, sky simulator, bumper cars, roller-skating, circus school, miniature golf, a carousel, and more. Will unveil two new ships: Harmony of the Seas, which will be the world’s largest cruise ship, and Ovation of the Seas, with delivery expected in 2016. Use cruise planner to pre-book shows, dining, spa appointments, and more before you sail. Royal Caribbean Connect provides a wealth of online articles on technology, travel, food, family, lifestyle, and more. Exclusive destination, Labadee®, on the north coast of Hispaniola and private island CocoCay® in the Bahamas. Special rates for police/fire department and military on select cruises. Most Royal Caribbean ships will offer special prices for dinner in their specialty restaurants the evening of embarkation day. Book three or more specialty restaurants and you’ll get back 30% of the total cost of the specialty restaurants as an onboard credit. “We sail Royal Caribbean a lot. We’ve sailed the Allure twice and love the ship. It’s beautiful with lots of fun places to explore. We loved the boardwalk and Central Park areas. The shows were very good; we especially enjoyed the diving and aerial shows. We did the zip line across the deck. Remember, it's up to you to choose the experience and then pursue that experience. Don't complain if you choose a package that doesn't suit your tastes. If you look at cruisecritic and so forth you see a lot of negative comments but they're all unverified and I dont think that's fair. The cruise lines, ships, destinations, food, activities, and excursion choices are extraordinary. No matter what cruise or destination you choose, you have the opportunity to create a personalized and memorable travel experience. Don't pass it up.